Antenna technology surged at CES 2017, making free over-the-air broadcasts easier to watch on your own terms. The timing seemed appropriate last Sunday when NBC blocked all online streaming services from showing the Golden Globe Awards. The broadcaster failed to secure those rights from the producer, so unless you had cable, the only way to watch the broadcast was through an antenna. If you're in the market for an over-the-air antenna, be sure to check out our in-depth coverage. Just a few days earlier, the over-the-air antenna had become the unsung hero of CES, the tech industry’s annual mega trade show in Las Vegas. Tech companies large and small are now integrating antenna support into their products in fascinating new ways, having realized that even in the age of streaming video, this free source of broadcast TV should not be ignored. Most of the antenna tech on display at CES fell into one of three categories. 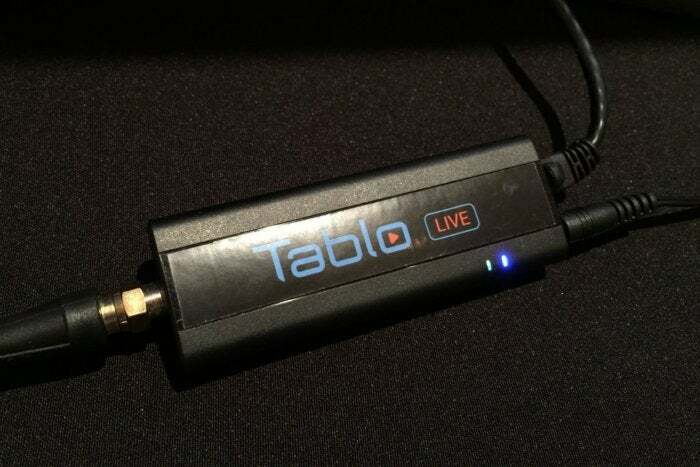 The Tablo Live is a $100 tuner that streams live TV to connected devices. Aside from improving reception, a networked tuner can de-clutter your living room, and it spares you from setting up a separate antenna for each television. It also lets you stream on screens that don’t accept antenna input directly, such as phones and tablets. CES also brought some new broadcast DVR products. With Tablo’s upcoming Droid app and USB tuner, Android TV devices such as Nvidia Shield will be able to store and play recordings from over-the-air channels. 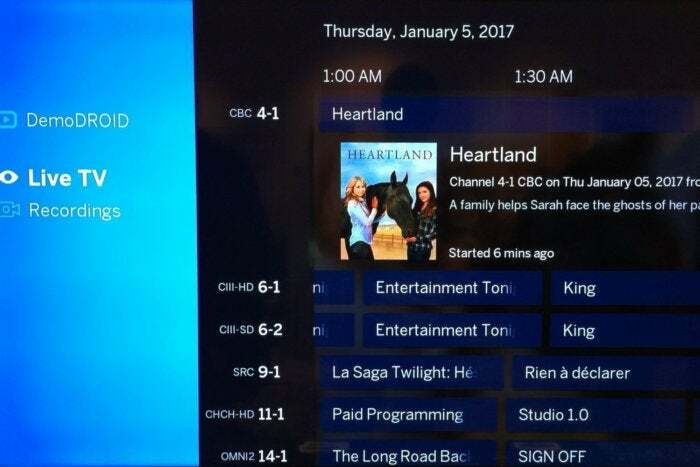 Think of it as a simple do-it-yourself DVR and streaming solution, with more apps and cheaper service ($4 per month, or $40 per year) than a TiVo. When paired with a USB tuner, the Tablo Droid app turns an Android TV set-top box into a DVR. Tablo is also working on a cloud-based DVR for its Live tuner. This will let users skip the dedicated DVR box and hard drive, and easily access their recordings from anywhere. 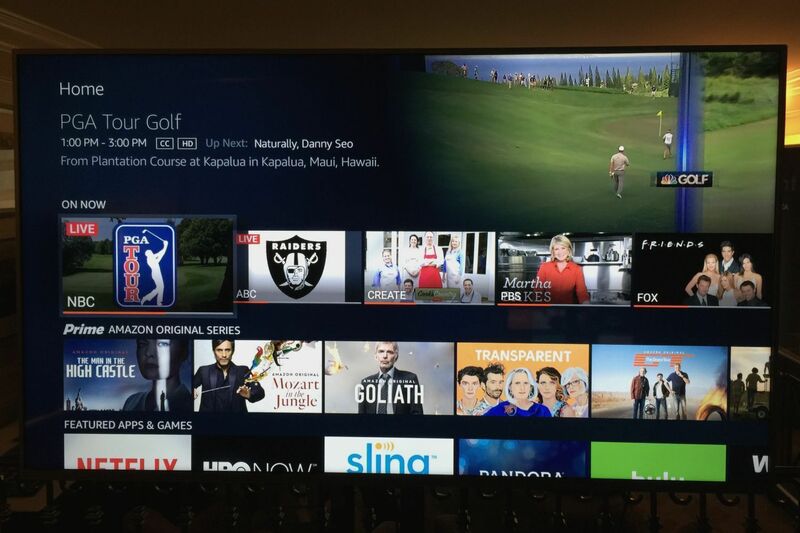 Fire TV Edition televisions can display antenna channels straight from the home screen. Amazon is also blurring the lines between streaming and broadcast with a slew of Fire TV Edition televisions from Seiki, Element, and Westinghouse. 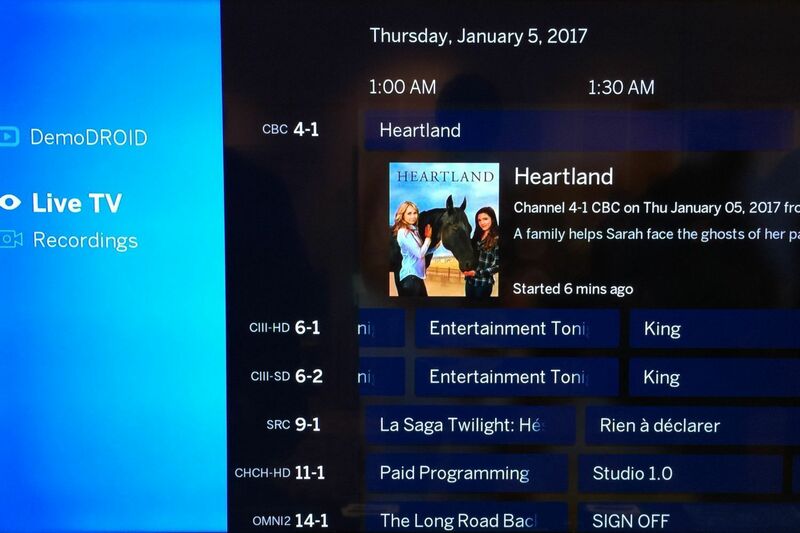 Antenna channels get a dedicated row on the Fire TV home screen, and recently watched channels appear alongside apps and other content in the “recent” menu. The TVs also allow pausing and rewinding live channels using internal storage or a USB thumb drive. Given all the work Amazon put into these integrations, perhaps USB tuner support for Amazon’s Fire TV set-top box won’t be far behind. All of these developments are coming at just the right time, as new services like Sling TV, PlayStation Vue, and DirecTV Now look to bring online cable channels to streaming devices. So far, all of these services have struggled get support from local affiliate stations, which means local broadcast feeds are unavailable in most markets. And as the Golden Globes illustrated, getting a live broadcast channel through streaming doesn’t guarantee that every program will be available. The antenna turns out to be a great equalizer for content. It’s not subject to the licensing foibles and access restrictions of streaming, and DVR falls under fair use, just like it does with cable channels. And of course, the broadcasts are free (because they use public airwaves), which is a big deal as major networks demand ever-higher broadcast re-transmission fees from cable and satellite providers. 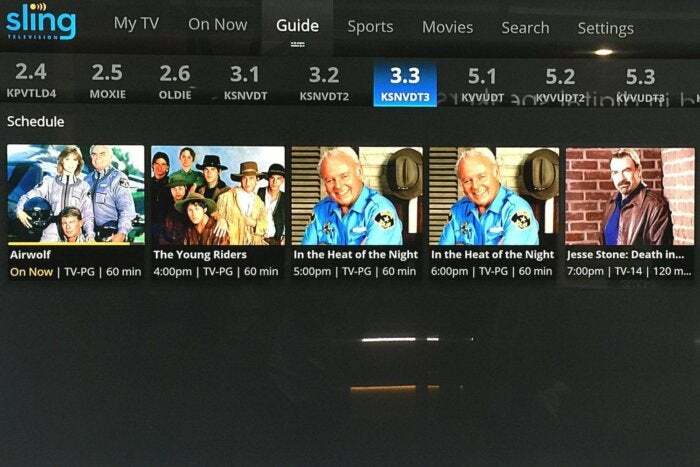 Sling TV will integrate over-the-air channels on supported devices such as the AirTV streaming box. 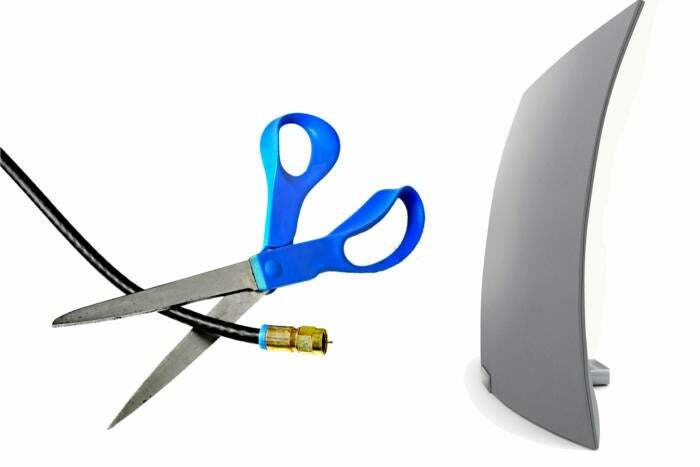 Much like cord-cutting itself, antennas are not a magic solution for replacing cable. The channel selection is limited, reception depends on many variables—from the proximity of broadcast towers to the location of the antenna to the weather outside—and setup is more complicated than plugging a single box into your TV. But as technology companies try to reach a growing audience of cord cutters, using an antenna won’t require giving up modern TV conveniences like DVR and streaming device integration. Despite being decades old, the antenna is starting to feel young again.